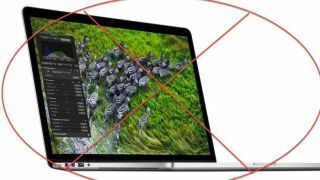 Will glued-in batteries cause EPEAT to drop Apple's latest notebook from its registry? Just because Apple is back in the EPEAT fold doesn't mean the green technology organization will be greeting all of their products with open arms. After briefly leaving the Electronic Product Environmental Assessment Tool (EPEAT) in early July, green tech lovers made so much noise that Cupertino reversed its decision and jumped back on board with the voluntary registry. No sooner had Apple again listed 40 different products, than its latest 15-inch MacBook Pro with Retina Display came under scrutiny for being assigned a "Gold" rating by the computer maker. EPEAT's highest certification for sustainable green tech products, the MacBook Pro with Retina Display's Gold rating raised eyebrows for featuring batteries that are glued into the chassis, making it more difficult to recycle. Apple was soon accused of "greenwashing" its latest high-profile notebook, forcing EPEAT to take a closer look at the company's voluntary ratings - which could be changed or removed entirely. "They can be completely taken out of the system," EPEAT communications director Sarah O'Brien told Talking Points Memo. "That's happened very rarely. I don't think it's ever happened with a larger player, but it's always theoretically possible for a product, if it doesn't meet criterion, to disappear from the EPEAT system." More likely, however, is that EPEAT will downgrade Apple's MacBook Pro with Retina Display to a more relevant rating, such as Silver or Bronze. "It doesn't say in the EPEAT standard that a product 'cannot be glued,'" O'Brien added. "It just says that it has to be easy to take apart. When we investigate it, they have to conclusively demonstrate to us that it is easy." EPEAT plans to revisit the certification by mid-August, which includes all of Apple's newest products.